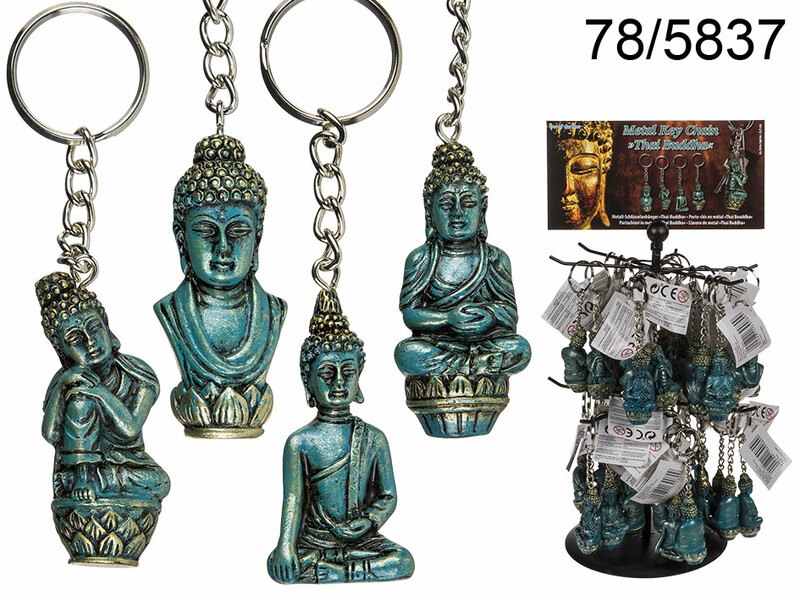 Oriental-looking polyresin Thai Buddha figurine on a keychain. Four models available - assorted. Stylish decoration and great small gift idea for everyone.